Cheek lifts and cheek augmentations are procedures used to address issues like sagging cheeks by delicately repositioning the cheeks back over the cheekbone or through implants. Dr. Ben Talei, a dual board certified facial plastic surgeon at the Beverly Hills Center for Plastic & Laser Surgery, offers cheek revision surgery and other revision surgery treatments for those looking to achieve a different aesthetic result. Cheek implants come in all different shapes and can be positioned on the cheek bone, below the cheek bone or a combination of the two. With an extensive variety of shapes and sizes to choose from, cheek lifts should only be performed by the most experienced and highly trained surgeons. Should a physician choose an implant size that’s too large it can cause the face to look unbalanced and distorted. While an understated cheek lift can leave the patient with the same issues of sagging cheeks that caused them to undergo the surgery in the first place. Dr. Talei is one of the most skilled and highly trained plastic surgeons in the Beverly Hills area. 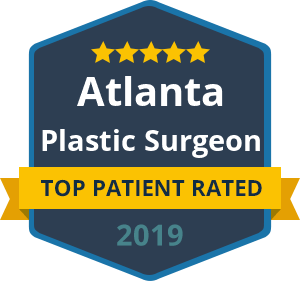 His dual fellowship training in Facial Cosmetic and Reconstructive Surgery, Vascular Birthmarks and Congenital Anomalies with Laser Surgery, gives him the cutting edge in his surgical procedures. It’s important to discuss your issues with your current surgical results and the goals you have for a revision in order to see if they are realistic and within reach. There is not a one size fits all for plastic surgery procedures. Dr. Talei will take the time to fully understand your goals and well as other varying factors to prepare the perfect plan for your cheek revision procedure. There’s no reason to remain unhappy or embarrassed with a previous cheek lift procedure. Contact the Cheek Revision Surgery Specialists at the Beverly Hills Center for Plastic & Laser Surgery to schedule your consultation with Dr. Talei.